This week has been a good one for me on so many levels-personal, professional, & on the blog! One big thing is that I'm in the Wall Street Journal! A journalist spotted my Kentile Floor Nail Art post, and now, I am in today's issue. The article is also available to read online here. It was great to share my tribute to my favourite Brooklyn landmark. I also went to a Birchbox + Liz Earle event that was so lovely. I highly recommend both brands. Two other bloggers were at the brunch, so check out their blogs and give them a follow: Lisa Rosado and Simply Made in Manhattan. 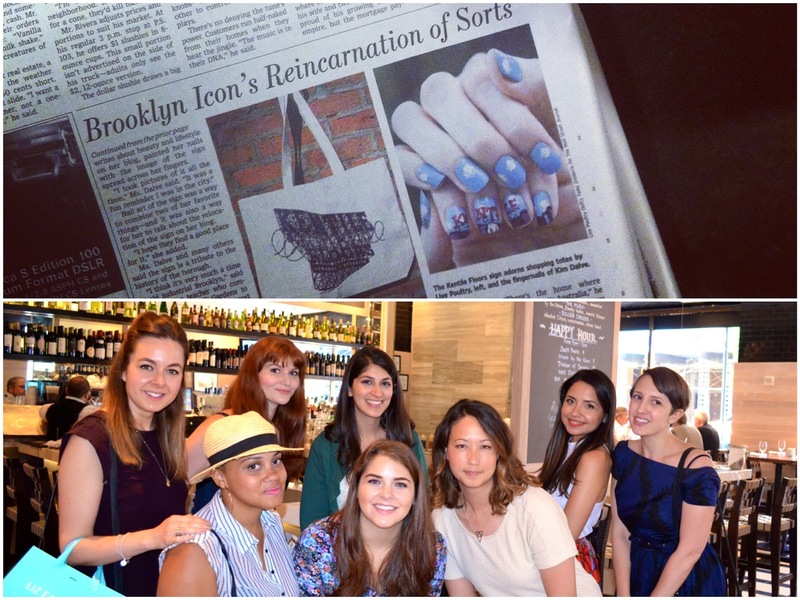 Thanks for reading, I'm definitely not a big blogger, and sometimes I wonder if anyone at all even reads this, so it's nice to have some fun opportunities to share my love of nail art, beauty products, and brunch.